One of the few paraplegic grapplers in North America is travelling across the country trying to make martial arts more accessible to people of all abilities. Pete McGregor is travelling across the country looking for opponents. He is one of the few paraplegic grapplers in North America and wants that to change. "Selfishly I just want more training partners," he said. "I really would enjoy a lot more opportunity to ply my trade against people of equal skill set." About 35 people from the mixed martial arts community gathered on Monday night in Halifax to learn techniques to help people with disabilities and mobility challenges adapt to martial arts. McGregor had already visited Sydney, N.S., and St. John's before arriving in Halifax. He has plans for a dozen other Canadian stops including Charlottetown on Thursday and Fredericton Saturday. Competing against people with more abilities than him has forced him to innovate, he said. But he believes jiu-jitsu can be adapted to people with a range of mobility. He hopes by working with instructors and practitioners, it'll make it easier for others like him to give martial arts a try. McGregor appealed to everyone in the adaptive session to reach out to friends or family members, saying that if people know what's possible it'll make it easier for them to approach a local club. "I just want them to have my story to be able to tell to people if they ever thought there wasn't a way to stay healthy or be active, and find a way to have social activity," he said. "This is all of those things. And it's just a great outlet, I feel, for all of them." 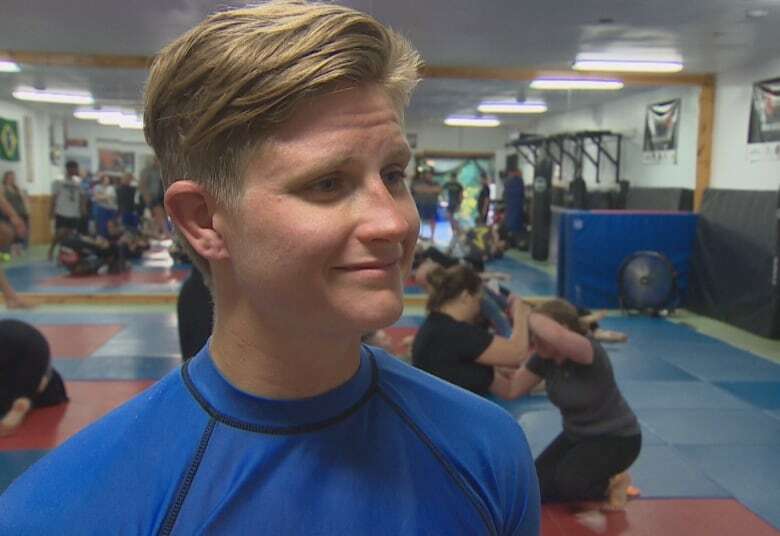 Rachel Wise, who hopes to instruct jiu-jitsu in Calgary this fall, said the techniques he showed gave her a new perspective on how to work with people whose bodies don't fit the mould of what normally is associated with martial arts. Wise, who took up martial arts during a time when she was dealing with a visual impairment, said it was moving to hear how open McGregor is about his own disability and the challenges it presents. "I tried not to talk about [the disability] and not to acknowledge it and pretend it wasn't there and cover it up. So it was really inspiring to hear him talk about that," she said. Born in Scotland, McGregor grew up in Edmonton and was left paralyzed as a child after an impaired driver hit his family's vehicle. For years he was plagued by medical conditions. He spent months in hospital at a time, going through one surgery each year for 12 years. He was 35 when he first tried jiu-jitsu. He credits the martial art, in part, for not having any medical complications since. In February 2017, he sold his home, guitar and everything valuable he owned to put money toward travelling. He's been around the world and now trains out of San Diego, where he puts in four hours a day on the mat. On top of giving him physical strength, McGregor says the practice helps him centre his mind. But it's not without frustrations. "It's funny to get into some situations where my body is actually telling my feet to engage and it's not doing it," he said. McGregor said the hardest part about the combat sport isn't the physical component, though. "Finding the mental fortitude not to give up and to keep coming back, that's going to be the most challenging thing for people. But as long as they keep showing up, keep being consistent, the successes will always be there."